It is pretty good. I purchased it used so it isn't in the best shape already. I wanted exactly 6 side mounted buttons for the 7-9 keyboard keys as well as Go Back and Go Forward browser commands. Any more buttons would be too unruly. I wanted the 7-9 keys assignable mainly for gaming. I'm not a native mouse and keyboard gamer and the keyboard can be a bit much. This helps a lot. I do wish the mouse was a big bigger and form fitting to my hand and the 6 side buttons were a bit bigger and easy to distinguish as well as reach. The back two buttons require me to slide my hand down the mouse. I do have fairly large hands. I purchased replacement pads for the underside from Logitech. It slides really good now. Best mouse I ever used, wireless sensor works flawlessly. Only a bit heavy, but that's a matter of taste anyway. This was actually not my choice. 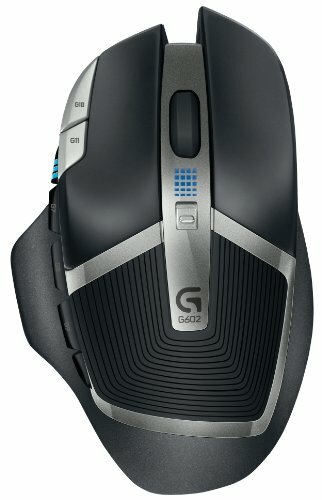 My client has had his G602 for a while now, and refused to upgrade to a better wired mouse. 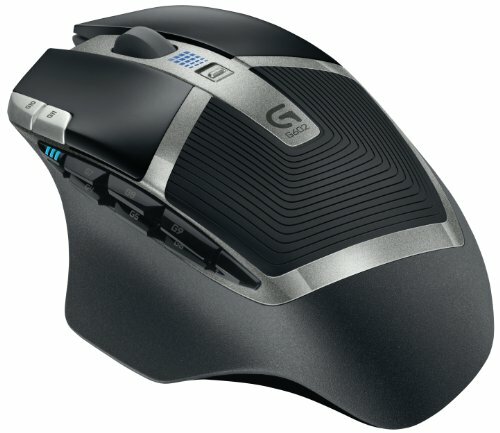 The DPI is too low to be called a "gaming" mouse in my opinion, and the G-keys are just extraneous. If you are going to get a wireless mouse at all (which I do not recommend for gaming) I highly prefer ones such as the Razer Naga Epic that can switch between wired and wireless mode and are designed to charge every night. Logitech sacrificed too much performance on this one for battery life. 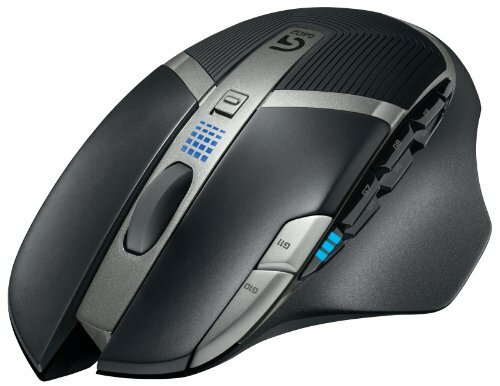 Really nice multi button wireless mouse. Great for MMO or FPS. Best wireless mouse ever. So far still no issues with it after using for about 1+ year. from completed build My wife does not approve of my obsession. Bought from frys.com during a promo (sign up for their email!). While it does not have too many programmable buttons, the price was right and the comfort is great. Glad to have it. Best wireless gaming mouse, ever.